As I write this week’s blog, most of the votes from yesterday’s elections have been tabulated and, with one or two exceptions, the winners declared. For the second election in a row, I have not been surprised by the results. Although the Democratic Party squeaked out a majority of seats in the House, it was by no means the much anticipated “Red Wave.” Also, the Republicans strengthened their grip on the Senate. To take the House, the Democrats needed to flip several seats. One of those seats was Kansas’ Third District, a seat held since 2011 by Republican Kevin Yoder. Yesterday Yoder got trounced by Progressive upstart Sharice Davids. Yoder is emblematic of the Republicans who failed to win office in yesterday’s elections. A Republican with deep ties to interests bent on displacing American workers, Yoder, earlier this year, as Chair of the House Appropriations Committee, snuck in an amendment dubbed “Numerical Limitation to Any Single Nation” into the Department of Homeland Security appropriations bill(H.R. 6776.) This amendment would eliminate country caps for those applying for employment visas and green cards. For years, these diversity caps have been the only thing standing between people from a single country – in this case, India – dominating our immigration programs. Large, multibillion-dollar Indian outsourcing firms such as Infosys and Tatahave been gaming U.S. employment visa programs such as H-1B, OPT, L-1 and others to displace skilled American workers with workers brought in on employment visas. 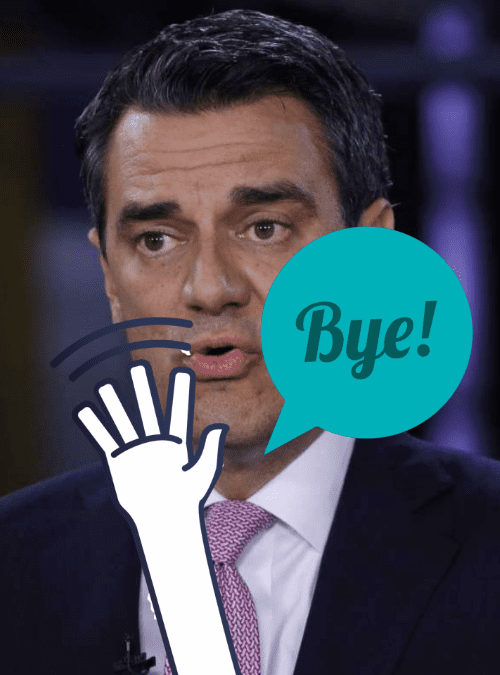 Kevin Yoder should be viewed by his colleagues as a cautionary tale. A review of incumbents turned out of office indicates voters were none too happy with their open borders position and coziness with interests working to displace American workers. U.S. tech workers, the ones who have been hit the hardest by bills like H.R. 392 and a litany of poorly crafted legislation enacted since the early 1990s that has allowed our employment visa programs to be exploited by corporations, rallied to bring attention to Yoder’s treacherous amendment. They were not only successful in getting national news agencies to report on the amendment, but even put up billboards in Yoder’s district prior to the election. In a district with only a slight difference in registrations between Republicans and Democrats, enough of Yoder’s base flipped on him to turn him out of office. In early December, H.R. 6776, the DHS appropriations bill will go to the House floor for a vote during the lame duck session. If the Yoder amendment is not stripped from the bill by the Rules Committee, I urge the members of Congress to vote against the bill. Two years goes by quickly, and the voters will remember in November 2020.